Despite only being in her second season in her track career, Lilou Stegeman exhibits great skill on the field. 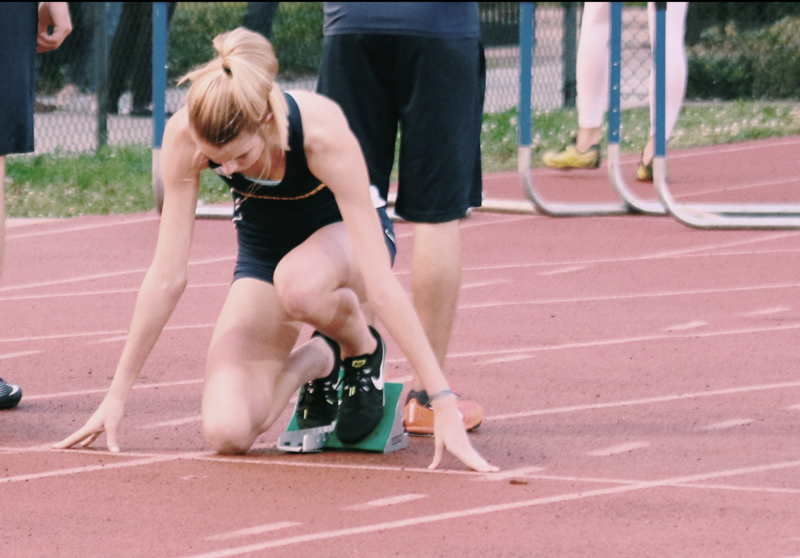 Stegeman is part of the Steinbrenner girl’s track and field team and proves that she is a wonderful addition to the team. She has already taken three first place titles, to put it simply she is a valuable asset for the Lady Warriors this season. “It was exactly a year ago when I started running… I wanted to start track because all of my friends were doing it, and at the time I had just quit another sport and wasn’t doing anything with my life and I was kind of bored,” said Stegeman. Being pulled into the sport by boredom is not the most conventional way for athletes to get involved in their sport, however, Stegeman challenged the odds and turned her boredom into passion for her sport. “Anybody can run track, but only a certain amount of people can be put in meets. I was really surprised when Coach Baldwin put me in the first meet of the season because I had just started and I wasn’t very good,” said Stegeman. The decision for her to participate in the meets proved to be a beneficial idea. As the season progressed, she was able to improve and make major contributions to the team. In her first year on the team, Stegeman was one of the two top finishing freshmen in the region in the 100-meter hurdles and the 300-meter hurdles; scoring for the Steinbrenner team which lead them to the regional title. That same year she was second in the district in the 100-meter hurdles and third in the 300, making an impressive start to her student track career. “The thing I love most about track is the team and the family environment… everyone on the team is so nice and encouraging,” said Stegeman. Having a sense of community is what helps to drive most athletes, this is no different for Stegeman. Competing with her peers has contributed to her skill and her overall enjoyment of the sport. “Track is currently not my only sport, I also play volleyball for a club and at Steinbrenner as well. I know I would like to play either of the sports in college,” said Stegeman. Being skilled at track it can be assumed she excels at Volleyball as well. Though only being in her sophomore year, her talent can potentially open doors for her in regards to college. As she continues her student track career, only time will tell where it can take her.